On 12 February 2017, the Swiss will vote on whether to accept the Corporate Tax Reform Act III, a set of new rules that will affect how all Swiss companies are taxed. Historically, Switzerland has offered certain foreign companies lower taxation in order to attract them. 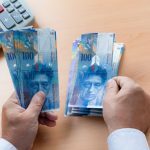 According to the government, these special status companies employ around 150,000 people in Switzerland and make a large contribution to federal, cantonal and communal revenues, paying around CHF 5 billion in tax annually. The current system however, no longer satisfies international tax standards and must be phased out. The government’s tax reform would replace preferential tax rates with a lower universal tax rate applicable to all companies, along with tax breaks for R&D investment and a few other things. The plan would mean those companies currently on special rates would pay more tax and those paying the current standard rate would pay less. Cantons can still decide on their tax rates, however the possibility of offering special tax rates to particular kinds of companies would be eliminated. The new lower tax rates would continue to vary by canton. For example Vaud has chosen a new rate of 13.79%, down from 22%, while Geneva is planning one of 13.49%. The canton of Vaud has already voted at a cantonal level to accept its new rate. 87% voted in favour of it. The overall aim of lower universal company tax rates is to prevent an exodus of companies that currently pay low preferential rates. 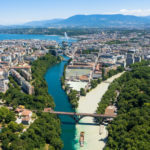 To compensate the cantons for expected declines in tax revenue, the Federal government plans to pass on a greater share of the revenue from direct federal taxation to the cantons – around CHF 1.1 billion in total. Changes will also be made to the national financial equalization mechanism (or péréquation financière nationale in French), which determines payments between rich and poor cantons. If the government has already decided why is there a referendum? A referendum has been requested to stop the government’s reform. Its initiators believe forcing companies currently paying preferential rates to pay the current higher standard rates of tax won’t motivate them to leave, and that the new lower universal rates and other tax breaks will lead to a significant loss of revenue. 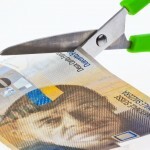 They fear that ordinary taxpayers will have to make up the shortfall, which they estimate to be CHF 2.7 billion. The Federal Council and Parliament recommend voting in favour of the proposal. They believe the reform ensures that Switzerland will remain an attractive location for businesses helping to safeguard jobs. Switzerland’s parliament adopted the plan by 139 votes to 55. The upper house, or Council of States voted 29 versus 10 in favour of the proposition. Cantonal governments are also in favour of the plan. Swiss broadcaster RTS spoke to a number of multinationals to get their view on the reform. One of those interviewed, Philippe Monnier, a local businessman says: “Contrary to popular belief, most large multinational corporations will have to pay more taxes following the third corporate tax reform. However, given that low taxation is not the main attractiveness factor of Switzerland, the majority of these multinationals are committed to remain in Switzerland.” At the same time he thinks it is important to approve the reform. 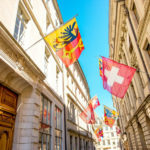 Of the main political parties, the Swiss People’s Party (UDC/SVP), the Liberal Party (PLR/FDP) and the Christian Democratic People’s Party (CVP/PDC) are in favour of the reform. The main party against it is the Socialist Party. Both sides appear to want to maximise company tax revenue, however they have different views on the importance of low tax rates for attracting and retaining foreign companies. Update: This vote was rejected by 59.1% of voters.